Ever wanted to try your hand at painting, but didn’t know the first thing about how to get started? Well, now is your chance. 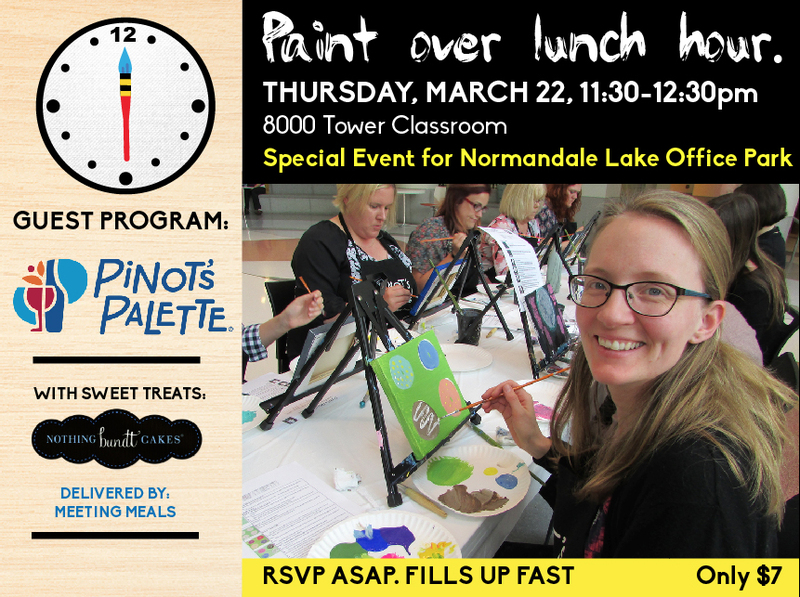 Don’t miss this instructor-led painting event especially for NLOP tenants. All art supplies are provided and sweet treats will be served. A nominal fee of $7.00 is being charged in advance as seating is limited. To register and pay by phone, call 952-345-8231. All forms of credit/debit cards accepted. To register in person and pay with check/cash go to the 8000 Tower Concierge Desk between 8am – 1pm.